Fortuantly (for me) I still had enough left in my ‘Technology Refresh’ budget to secure one of the first of these units to come into New Zealand and of course, big thanks go out to Tom for getting the wheels in motion to make this happen. 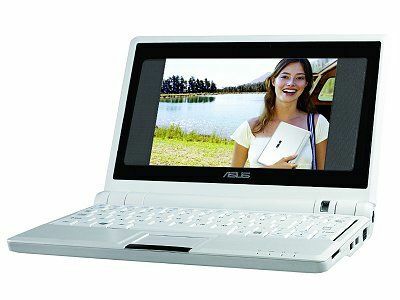 So – small, low powered (in a relitive sense) and ideal to take it’s place as my kitchen PC or the thing that travels with me when I want connectivity but not the weight or power of my primary laptop. Devices like this would have been ideal for me back in the days when I was timing multisport events. With the additional power – better connectivity, and better battery life they would have allowed me to provide more ‘real-time’ results from each of the timing stations – of course, 802.11g would have had to have been invented then but – let’s not quibble with fond memories eh? I’ll do my best to restrain myself sufficiently to provide an out of box experience post when the unit arrives… HURRY! Not a lot has been happenning on this front, life has been getting in the way of spare time to twiddle with technology, but a huge thanks once again goes out to my very own liveware version of Google, or as I call him… Tom. Tom flicked me a link to iMedia who are a bunch of people building ITX based linux distro for various applications, one of which is a MythTV build. So – the plan is, I’ll run up this build in a VM (Virtual Machine) and do a bit of customisation to it to make it car suitable… and we’ll see how we go from there. Does this count as progress? Well, this is probably the easiest decision I’ll need to make. Given that the car is parked on the road every once in awhile, I quickly came to the conclusion that a ‘removable’ installation is just going to ask for trouble so, it’s an in-dash install – and with that, it’ll need to ‘look factory’ which means fabrication, which means I won’t be doing it. All in all, it’s more efficient in terms of time, money and finished look to let the professionals do the fabrication. 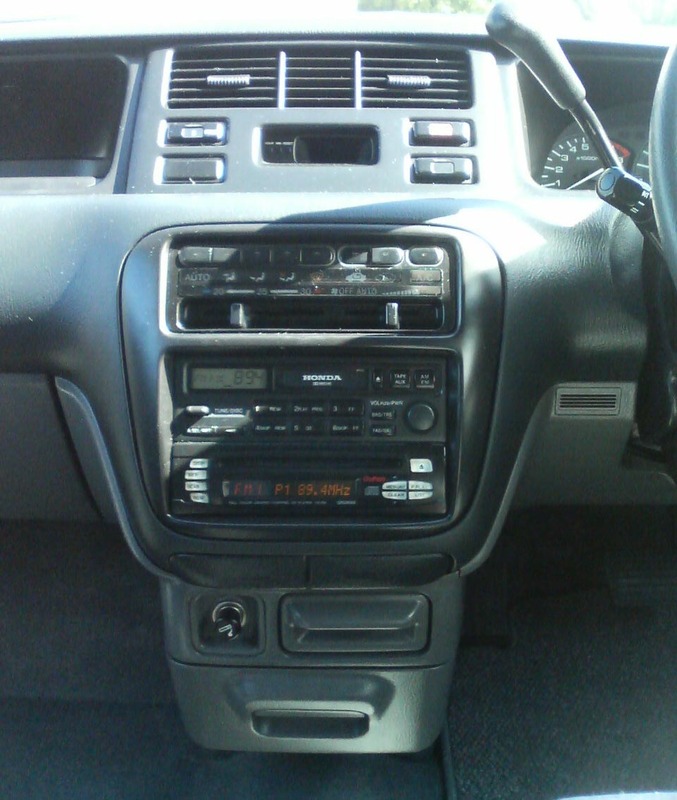 So the theory will be, the ashtray and cigarette lighter will be replaced with a fabricated slot which will hold my existing head unit which is currently sitting in a box ex-my old car, people who are not familiar with the Carputer will then be able to use this to listen to stuff as they drive. The carputer will be connected via the CD stacker input and be controlled via the touch screen which replaced the current 2x 1-DIN crappy units which came with the car. Power screen directly or off the Carputer? Remote switch to allow the Carputer to be isolated/turned on independantly of the ACC switch? Obviously the internet is a great resource for gathering information about this project. In a lot of ways it’s better than the book I bought, mainly due to the nature of communities and the user generated content they produce. In saying this, I’ve had to be careful to research the contributors where distention occurs so I can (hopefully) pick the right side of any disagreements in approach which inevitably crop up. The best community I’ve found thus far is the one at MP3Car.com which has a Wiki, Forums, Galleries of installations to drool over and of course a shop. So my primary resource will be those listed below – but I’ll update this post as any new sources prove their worth. I bought the gear about 9 months ago as we were hoping to be able to prototype something, then the business priorities changed at work and it’s been sitting (mostly) unopened in a box since then. This said, the list isn’t the flashest that’s avalible currently, and if I was to repurchase now, I’d probably go for something a bit different – like an ‘ebox‘. 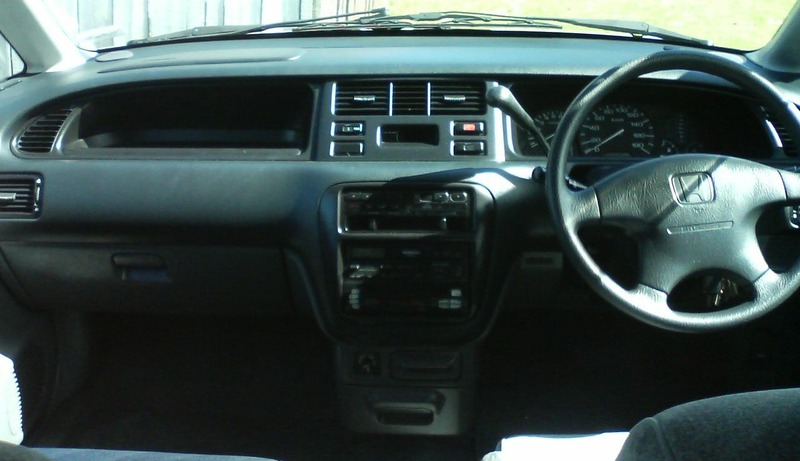 Full Dashboard – You can see from this shot that there are a few options for placing the 7″. Also not the position of the passenger side airbar, precluding putting the PC unit itself in the dash (also helps protect it from the heat – so that’s an upside). Center Console – This shot shows a little more detail, my issue is I kind of want to have a ‘normal’ head unit in place for drivers who choose not to use the PC. This then severely limits my mounting options as one of the 2-DIN spots will have a head unit sitting in it as there’s nowhere else to place the 1 DIN Radio/CD player I have. I’m currently thinking it’d be best to mount the touchscreen higher up, probably as a mount extending out from behind the bezel holding the clock. While this would obstruct the vents and some buttons, I think it’s the least impact/most practical place to mount the screen. What I want is an array of cameras around my car showing the road around me, so I can record with some telemetry data superimposed on the video some of the stupid things I see on the road. Here you are, being a good lad and indicating for 3 seconds to move lanes, when the guy behind you in his black souped up Mazda decides that since he’s faster, he can indicate once (if at all) and scream up the side of you into the lane you’re indicating toward. Now the good thing about nice shiny souped up cars versus large diesel 4x4s, is that I really don’t give a toss if you’re going to be an idiot, because I AM CHANGING LANES NOW AND YOU DON’T REALLY HAVE THE EQUIPMENT TO CUT ME OFF. Now, with my proposed camera array hooked into my carputer, I can change lanes as indicated, and if people do stupid things to cut me off, then I’ll have the evidence should we happen to involve insurance firms (if you catch my drift). I gotta get more spare time (and cash)! Author Rob the GeekPosted on April 7, 2005 June 5, 2007 Categories Carputer, Opinion1 Comment on Bloody Idiots!